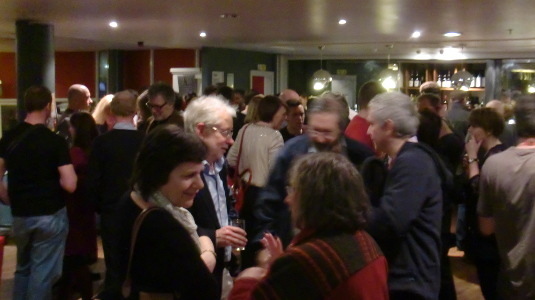 I attended MailCamp 2013 held at the National Audit Office in Victoria on 9 May 2013. It was once again a fascinating look at the use of email, an often overlooked element in communication strategy. 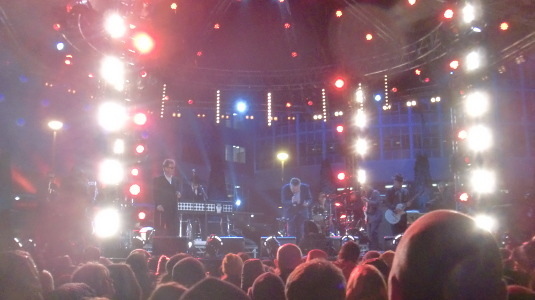 Reports of proceedings can be found on the event Storify. This was the third MailCamp, and the last to be run by Steph. Many thanks for Steph in organising this and the previous MailCamps – let’s hope someone steps forward and organises MailCamp 2014. 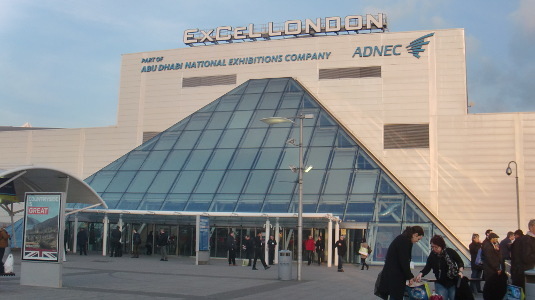 Thanks are also due NAO for the use of their basement conference room and the event sponsors. 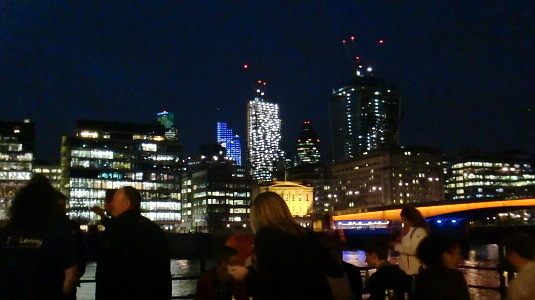 The very well attended Ubuntu 13.04 London Release Party on 25 April 2013, at The Old Thameside Inn, gave an excellent view across the river of what appears to be an ongoing competition to build the most ridiculously shaped building in the City. 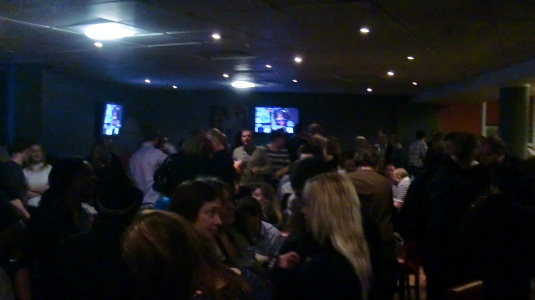 The Television Centre BBC Club bar closed its doors for the last time on Thursday 28 March 2013. The next day I thought I’d do a bit of research on the history of the bar. 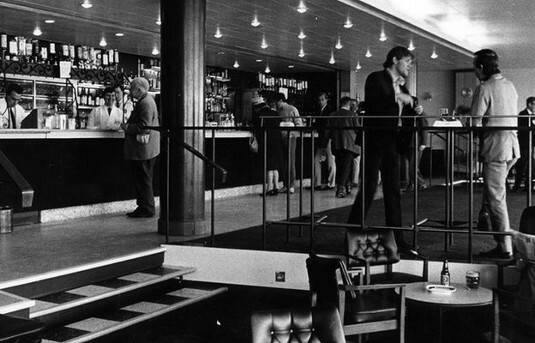 I’m therefore in the process of pulling together a short history of the TC Club bar. This will not be five volume book set (! ), but a (probably fairly long) post on this site. If anyone has any pictures, facts, stories, memories, etc relating to the history of the TC Club bar, I’d be grateful if you could drop me a line with the subject line ‘A short history of the TC Club bar’. At the moment there’s also a lively discussion on this subject on Facebook, if you’re that way inclined. 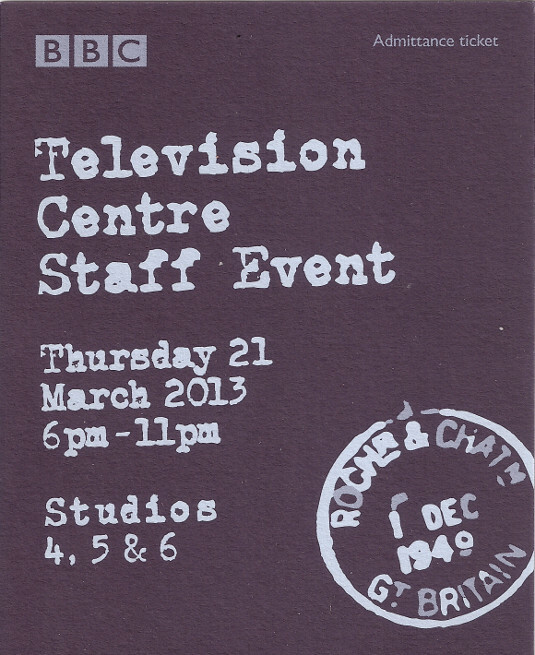 A great time was had by all at the Television Centre Staff Event on Thursday 21 March 2013! 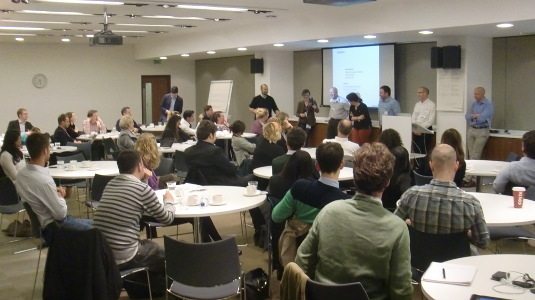 I participated in the 2013 UKGovcamp at IBM’s South Bank building on Saturday 9 March 2013. It was the usual surprising, inspiring, bustling, informative, argumentative and lively mix built on Open Space principles. Intersection of open innovation and open government – led by Esko Reinikainen this session looked at the various barriers to change within government structures, including how information can be lost by the lack of knowledge bases. Is digital changing the nature of communications? – led by Anne McCrossan this discussion examined issues raised by the digital first policy, including how to effectively communicate with those not online and how to bring them into the tent – which touched in wider points such as education. Open government and the national action plan – led by Tim Davies the session looked at the Open Government Partnership, which was very interesting, since I was not aware of the organisation’s existence beforehand! 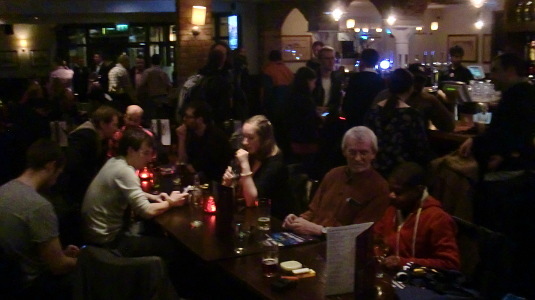 Afterwards, the world was fully put to rights at the post events drinks in Doggetts. All in all, another excellent UKGovcamp – many thanks to Dave Briggs and Steph Gray for organising the day and the sponsors for their support. 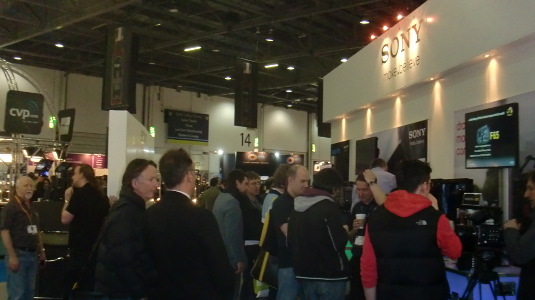 I attended BVE 2013, the annual broadcast and production technology trade show, on Wednesday 27 February 2013, at ExCel London. Plenty of equipment to see in the exhibition, but I did notice a number of the larger company stands weren’t quite of the size as previous years. It was interesting to note the increased number of small UAVs on display at the show, all various forms of remotely controlled helicopter used for mounting camera and sound equipment. At the end of the afternoon I caught Orange Coconut‘s Gary Hewson giving a presentation on understanding codec compatibility: making the right choice for editing and delivery. 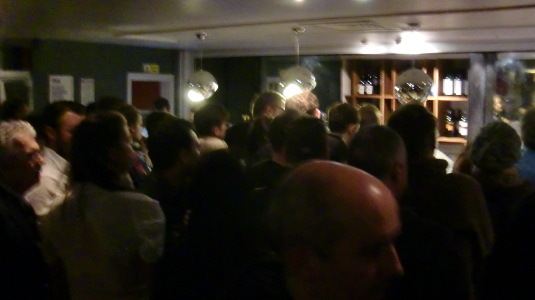 After the exhibition I went to the BECTU BVE 2013 social, jointly organised by the union’s Young Members Forum and London Production Division, during which plenty of ale and other beverages where consumed in a networking environment (full disclosure: I was involved in organising the social! ).